Reward Cards app is free smart phone wallet app to store all your cards with Barcode, QR Code or only number. It support all Reward Cards, Loyalty Cards, Membership Card, Store Cards, Library Cards and Club Cards. Scan your card in Reward Cards app, it will store your card digitally on your smartphone, so you don’t have to carry card physically. Once card is stored in app, present it from your smart phone at checkout. So now keep your card wallet free from all those plastic loyalty cards. Best app to keep track of money saving deals and coupons. 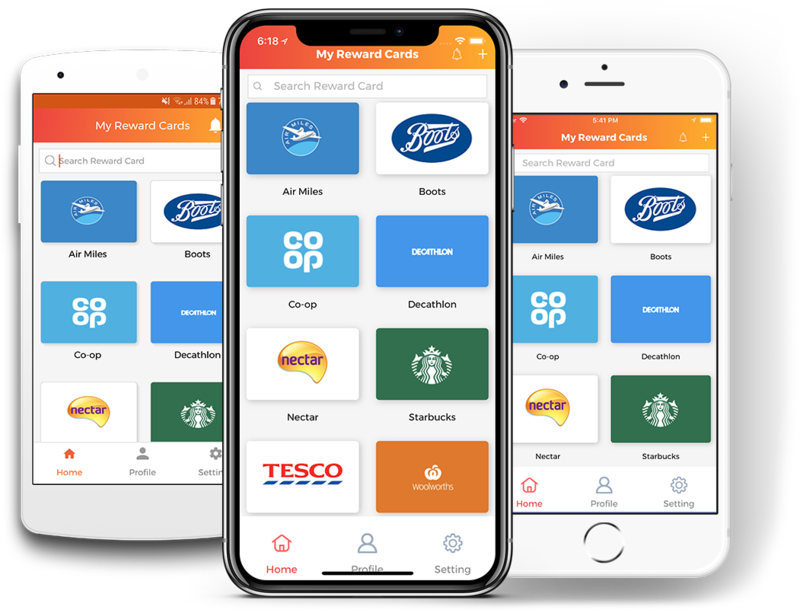 Download Reward Cards App now from your Apple App Store or Google Play Store.